A single toad can eat up to 1,000 insects, slugs, spiders and other pests a day! Or, rather, make that per night, because they’re mainly nocturnal animals. 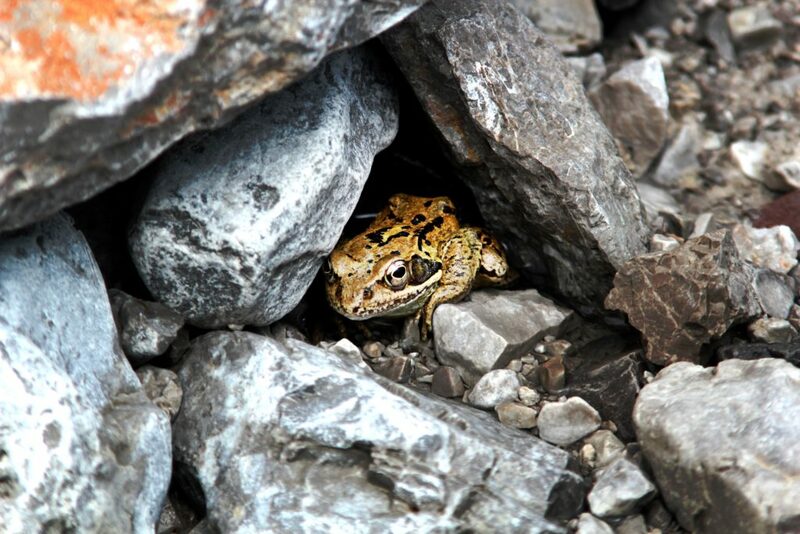 Toads need cool, moist places for hiding in the daytime, and if your yard is already wildlife friendly, they probably have plenty of hiding places there: a woodpile or rock pile or maybe nestled into the soil under a dense moist shrub. Still, why not have some fun? 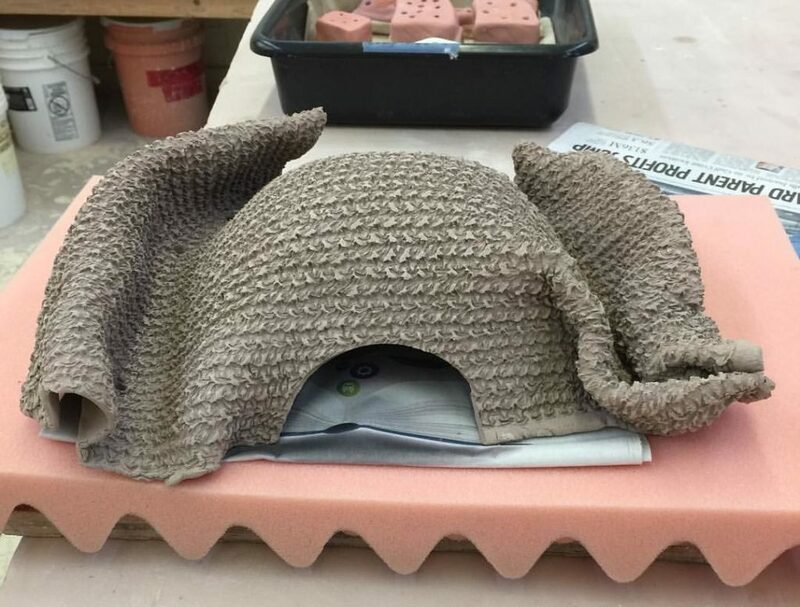 Readymade toad houses are available in stores and online. But creating a special hiding place for toads is entertaining, and it’s cheaper, too! Children, especially, enjoy decorating toad houses and watching them being used. 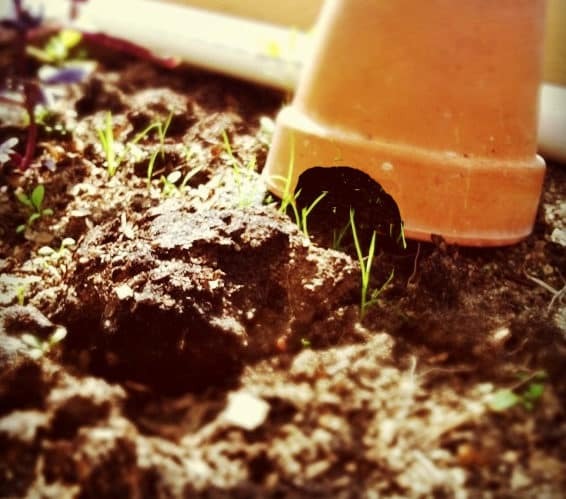 There are several ways to transform a flowerpot into a toad house, and it’s simple to do. Drill a series of holes in a semicircular pattern above the lip of a flowerpot pot. Then, tap out the piece with a hammer. That forms the entrance, which should be at least 4 or 5 inches wide and 3 inches high (10 to 12 cm) because toads get pretty large. Make sure the cut edges are smooth. Do the same to create an exit hole on the opposite side of the lip. If you plan to lay the pot on its side, then just enlarge the drainage hole on the bottom as an exit. If you lay it on its side, then partially bury it so the toad can lie on moist, cool soil. Or, configure a flowerpot differently. Pick a shady spot near water. The water source can be a pond, water feature, birdbath or large flowerpot saucer setting flat on the ground (no pedestal) filled with water. Dig a shallow well 4 to 5 inches (10 to 12 cm) deep and slightly smaller in diameter than the flowerpot. Fill it with moist soil or rotted leaves for toads to lie in, and set the pot over it. The pot should surround the well, not set down in it. In dry weather, you can sprinkle some water through the hole in the top of the pot to moisten the bedding. Replace the bedding from time to time to keep it fresh, when the toad is not in residence. Coffee cans or other metal containers can be used for toad houses, but file off sharp edges and make sure to place them in heavy shade. Ideally, toads need two openings in a toad house so they won’t get cornered by an invading predator. A stone toad hole readily solves this problem. In a shady spot near water, excavate a hole 10 inches square by 10 inches deep (24 cm). Fill it with soft soil topped with a layer of moist, rotting leaves, for summer bedding and winter hibernation. Build walls and a roof over it using several large, flat stones. Leave an opening in the front and back for entry and exit. Jass the stones up by painting them, or use decorative types of stones. 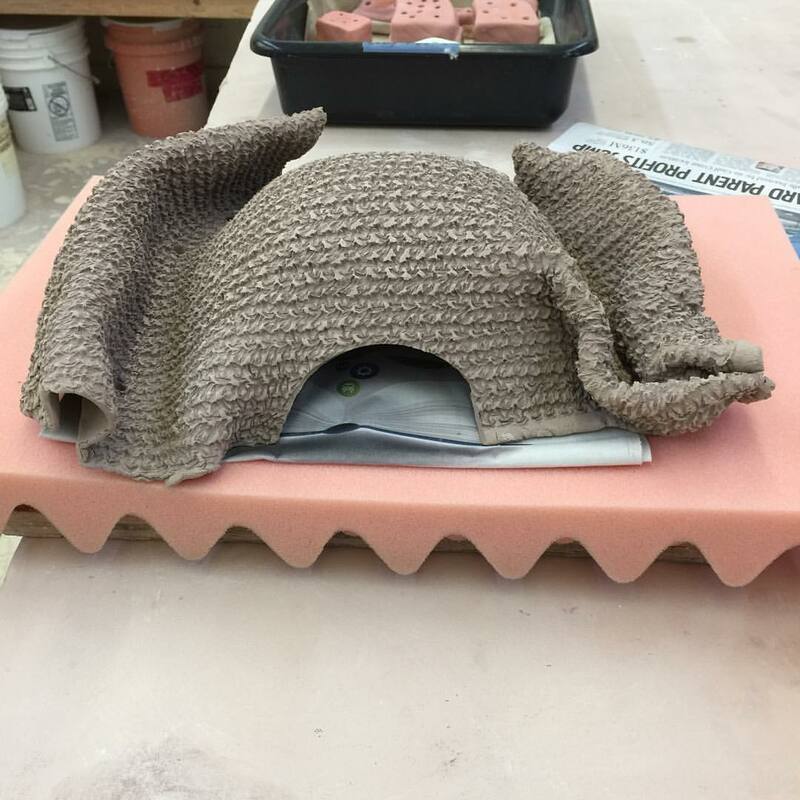 If you’re into ceramics, create a novel design for a nontraditional hidey hole. Hang a temporary, soft light a couple of feet (60 cm) above the ground and near the entrance to the toad house to attract insects. The insects will draw toads if there are any in your yard.